Thanksgiving and the associated sales bonanza that goes with it may be over, but we now have Christmas to contend with. It’s not all bad news, though, because there are more bargains to be had – like a PS4 and a top game for less than $300. As Christmas draws ever nearer and buyers flex their credit cards ready to buy gifts for their loved ones, Sony has announced two PS4 bundles will be available for a reduced price, and for a limited time in the build up to the festive period. 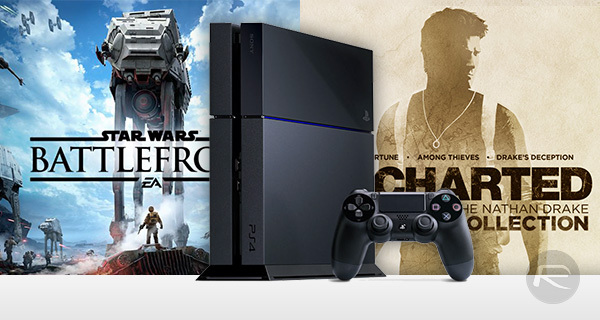 The Uncharted: The Nathan Drake Collection PS4 bundle and Star Wars Battlefront Standard Edition PS4 bundle will both be available for a shade under $300 from this coming Sunday, running through December 19th. 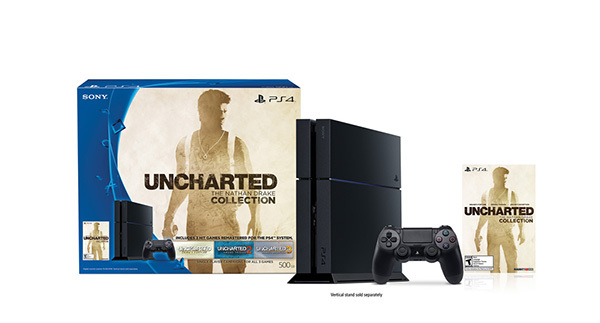 Already available at $299 as part of Sony’s Black Friday promotion through to Cyber Monday, the Uncharted bundle offers a 500GB Jet Black PS4 and DualShock 4 alongside the Uncharted: The Nathan Drake Collection, which includes classics such as Uncharted: Drake’s Fortune, Uncharted 2: Among Thieves, and Uncharted 3: Drake’s Deception. If you’re new to the PlayStation world, then that’s a lot of gaming for $300, of that there is no doubt. They’re excellent games, too. Fans of Star Wars may wish to check the Battlefront bundle out, though. 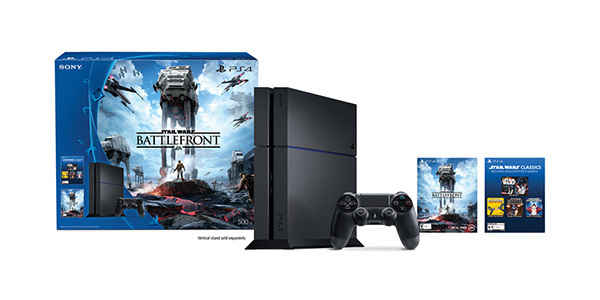 Again coming with a 500GB PS4 in Jet Black and packed with one DualShock 4 controller, this bundle comes with the very popular Star Wars Battlefront title. You don’t need to be a huge fan of the Star Wars world either, because unlike some movie tie-ins, this is one game that is fun to play no matter how you feel about the franchise. If either of these bundles sounds like the one for you or your loved one then don’t dally – both offers will end on December 19th, meaning you only have a couple of weeks in which to get your hands on one. In our opinion, you really won’t regret opting for either. You guys just finding this out? ?